Jazz & pizza – what’s not to love! 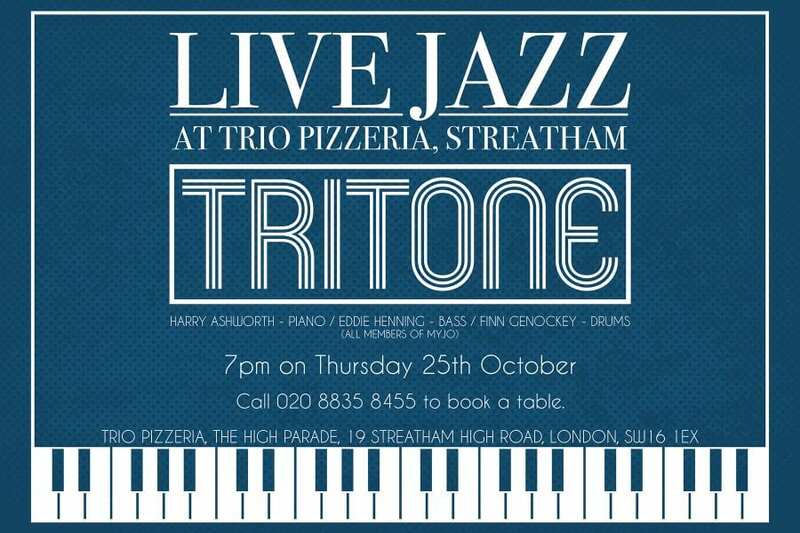 Join three of our most experienced young musicians at Trio Pizzeria, Streatham, on Thurs 25 Oct from 7pm. Book a table today.